For all you gym rats out there, going on holiday doesn’t mean that you should take a break from your usual workout routine! After all, fitness and strength must be constantly maintained, right? But what if you travel overseas and don’t have an Anytime Fitness membership, and are desperate to work out? Don’t worry, we’ve got you covered! Here are the best hotels with gyms in Singapore, so that you don’t have to source outside for a gym to go to. First on our list, the Westin Hotel. Located at 12 Marina View, Asia Square Tower 2, Singapore 018961, the Westin Hotel boasts of a 24 hour fitness studio, which they have trademarked as the WestinWORKOUT Fitness Studio. 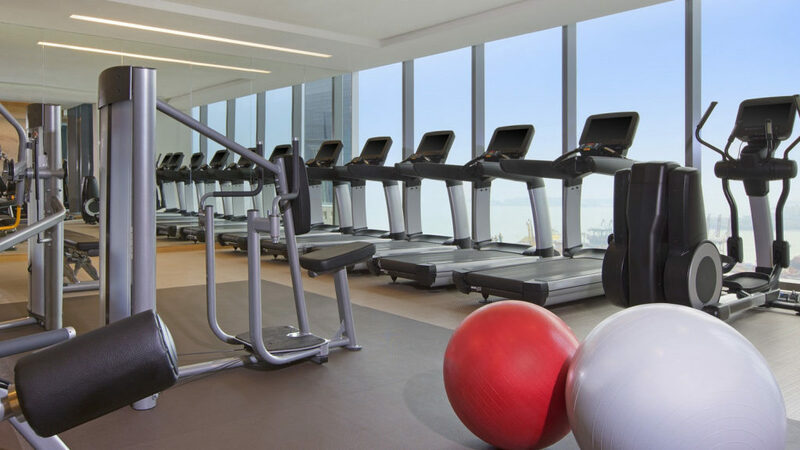 The WestinWORKOUT Fitness Studio can be found on the 35th floor, and its facilities are designed to accommodate a full range of activities including: running, jogging, walking, cycling, weightlifting, calisthenics and swimming. The WestinWORKOUT Fitness Studio is complimentary for guests, and is accessible throughout the day. This hotel gym is fully equipped, and features amenities ranging from towel service and shower accessories. Don’t worry about needing extra workout clothes, and subsequently a larger baggage, Westin has a gear lending program which provides you New Balance clothing and shoes for a nominal fee, and will be delivered to your room. Aside from the gym, Westin also understakes a RunWESTIN program as part of the Move Well pillar, where the hotel’s concierge will lead participating guests on a run around Marina Bay, every Tuesday, Thursday and Saturday morning. Nothing like a morning run to wake you up and prepare you for a fresh day of holidaying ahead. Next up, we have the St. Regis Singapore, which is situated at 29 Tanglin Road, Singapore 247911. 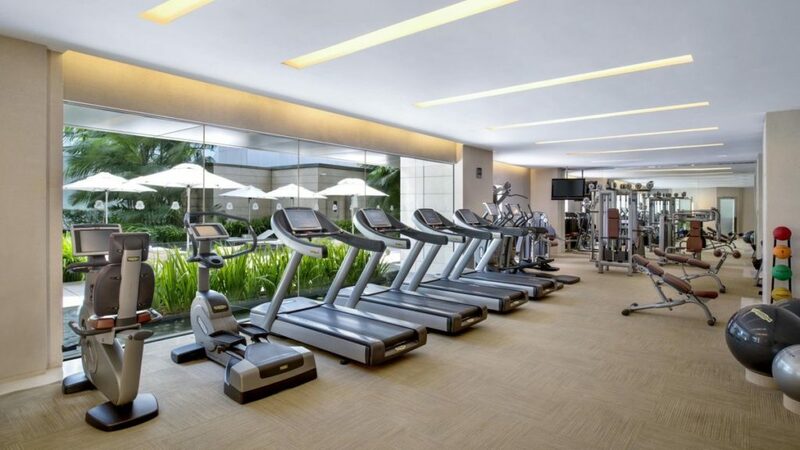 This fitness center contains various TechnoGym equipment, from elliptical machines and treadmills to stationary bikes, and they are fitted with individual TV sets and cardiovascular monitors so you can be entertained while tracking your activity levels. No more “exercise is boring” excuses for not keeping fit! Furthermore, in-house guests will also have complimentary access to Remède Spa‘s wet lounge facilities for you to freshen up after your session at the fitness center. The hotel will make arrangements for a personal trainer for an additional fee, should you find yourself in need of one. Also, this gym is 24 hours, but between 6 pm to 11 am, the room keycard is required to access the gym. 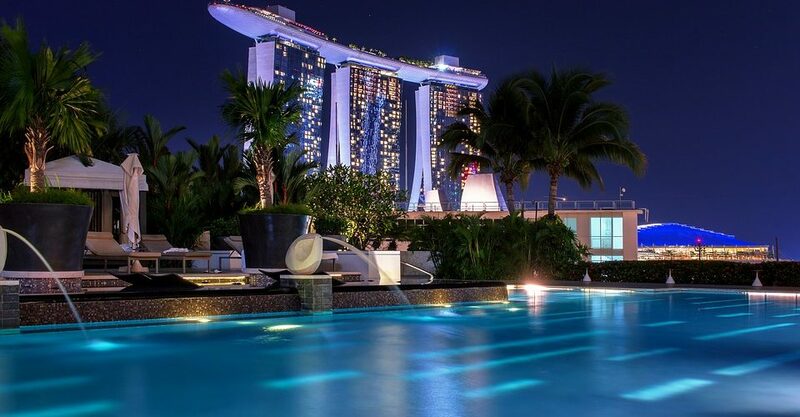 Now, the Ritz-Carlton is one of the more well known hotels in Singapore, and around the world. But how fares the hotel gym? Quite well, in fact! The Ritz-Carlton Gym seeks to support guests in their quests for a healthy lifestyle, no matter where they come from. The fitness center in the hotel provides state-of-the-art equipment to facilitate many of the activities such as the High Intensity Interval Training(HIIT), the TRX Suspension Training, cardiovascular endurance and weight training. They also have a Movement Studio to add variation to your workouts. Personal training and yoga training is also available, but be prepared to pay additional charges. 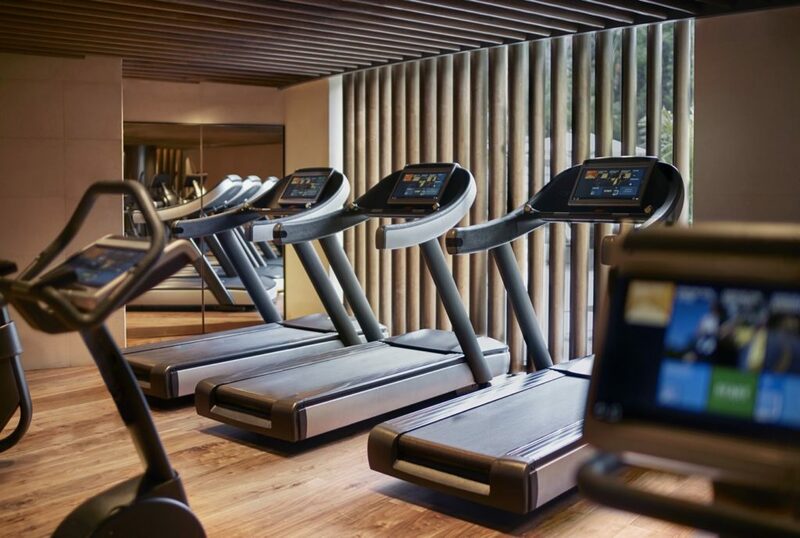 Furnished with amenities and facilities such as lockers, showers, rejuvenating jet pools and steam rooms, and also staffed with a team of passionate trainers ready to help you achieve your goals, the Ritz-Carlton fitness center looks to be quite legit. However, to access this 24 hour gym, you must first sign up for a wellness package with Ritz-Carlton, which thus differs from the other two hotels previously mentioned. 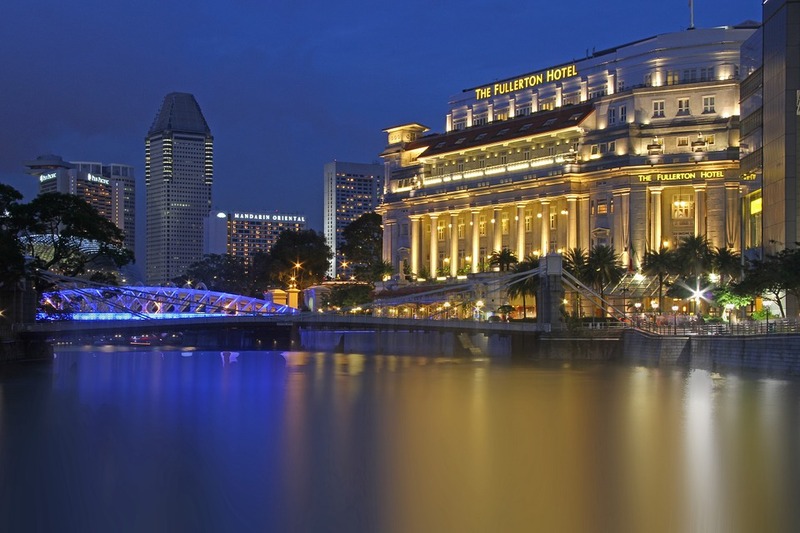 If an infinity pool is something you’d like to find in a hotel gym, then the Fullerton Hotel may be the one for you. The amenities which the Fullerton has include a 25 m outdoor infinity pool, sauna, steam room and showers with towels. In the gym, there are state-of-the-art cardio and strength equipment, free weights and medicine balls which are provided for members to help them achieve their fitness goals. Similar to the Ritz-Carlton, however, is that you are required to sign up for a wellness package and membership before you are allowed to use the gym and other above mentioned facilities.